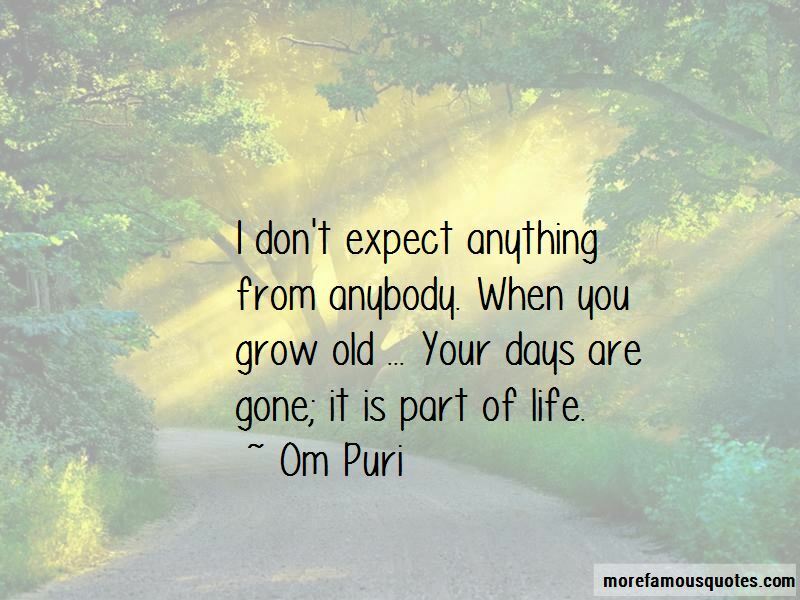 Enjoy the top 25 famous quotes, sayings and quotations by Om Puri. I have no regrets at all. I have done quite well for myself. I didn't have a conventional face, but I have done well, and I am proud of it. What Bollywood lacks is scripts. A lot of the films are copies of western films. I don't expect anything from anybody. When you grow old ... Your days are gone; it is part of life. I feel even old people can do a nice love story, but here we don't make that kind of films. In the West, such films are being made and they make a nice romance, which is more like compassion. In western countries, there are roles written for older actors. Films are made on them, including love stories. 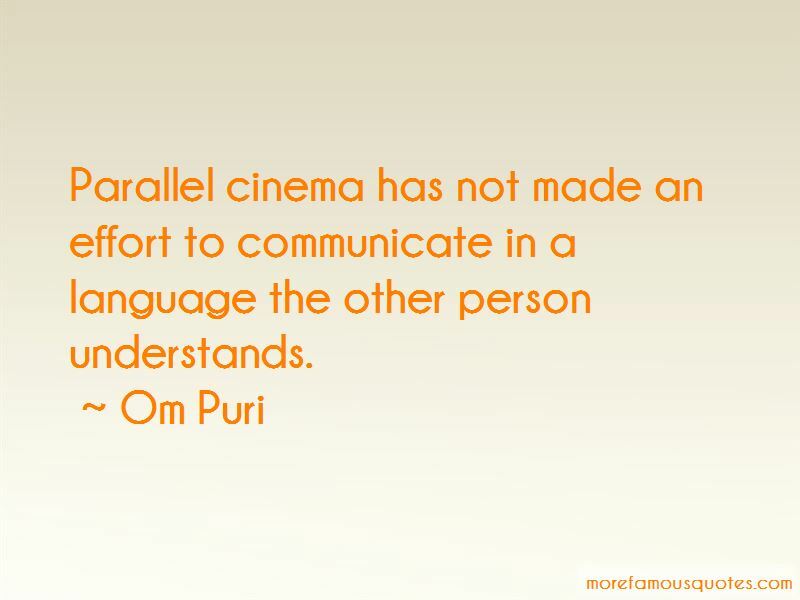 Want to see more pictures of Om Puri quotes? 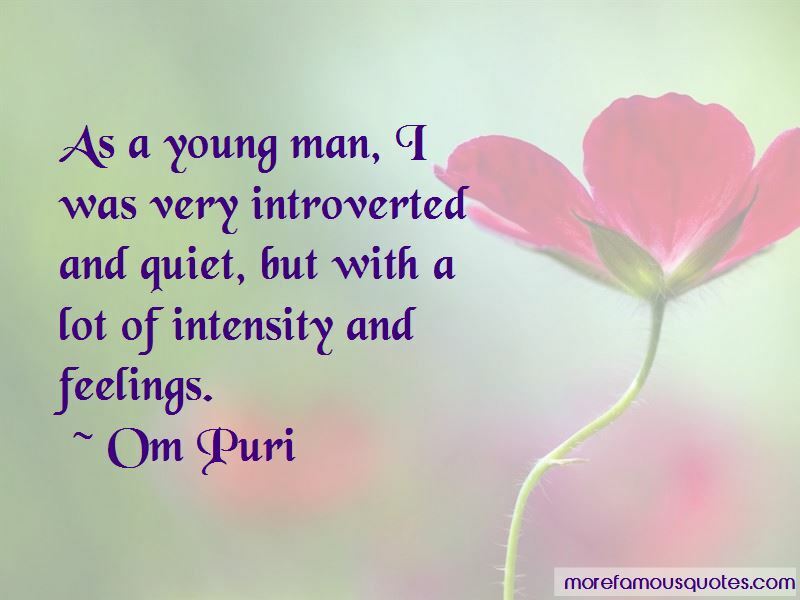 Click on image of Om Puri quotes to view full size.